A further two teens have been arrested on suspicion of wounding in connection with the assault on Watford FC fan Nic Cruwys. A 17-year-old boy was arrested last Thursday at an address in Gailey, Staffordshire and an 18-year old man was arrested on Friday at a home in Ashmore Park, Wolverhampton. 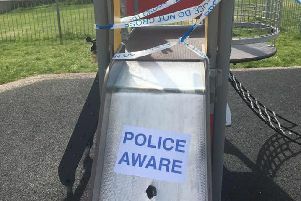 Both were later released on bail while detectives continue their inquiries into the attack, which took place on March 7 on Littles Lane, Wolverhampton, following a game between Wolves and Watford. The latest arrests bring the number of people detained over the assault – which has left the 44-year-old father of two from Hemel Hempstead in a critical but stable condition – to seven. Three other 18-year-olds and two teens aged 14 and 13 are also on police bail in connection with the attack, all with strict conditions to report to a police station daily and not to enter Wolverhampton city centre on match days. All seven will be spoken to again by detectives in April. Det Insp Toni Naylor, from Wolverhampton’s violent crime team, said: “We have now made a number of arrests but our investigation is still very much ongoing. A fund set up by Wolves fan and fellow Hemel Hempstead resident Ollie Floyd has raised more than £35,000 in support of milkman Nic and his family. We have now made a number of arrests but our investigation is still very much ongoing. Around 2,300 individuals have given to the cause launched by the 16 year old, who has said: “I’d like to say once again a huge thanks to everyone who has been involved in this campaign.